As we have already learned, God desires to be glorified, to reveal or demonstrate His nature and character, among all the people groups in the world. All of the Gospels and the book of Acts make this desire clear, because they all include Christ commissioning His people to fulfill His mission in the world. This passage includes a command to preach the Gospel to every person in every place. It also includes the outcomes of belief or disbelief for those who hear the message. Here we see Jesus explaining to the disciples that the message will be sent to all nations, as the scripture teaches. Jesus also tells His followers that they are witnesses to His death and resurrection and will be part of preaching the forgiveness of sins to all nations. This passage doesn’t contain a direct command to the disciples concerning the nations. Jesus does, however, breathe the Holy Spirit upon them and commission them to go in the same way that He went. As we saw last time, Jesus life and teaching showed His utmost concern for God’s glory among the nations. So although the passage doesn’t directly state a command for the nations, it is clear from the context that the nations are included in His statement. This passage is more of a promise than a command, but it clearly states Jesus plan for His followers to be His witnesses to all the peoples on earth. Normally referred to as the “Great Commission,” this passage is probably the clearest statement of Jesus’ mandate for His followers to complete world evangelization and discipleship. Looking more closely, we also see that it includes four “all” statements. *All Authority: Jesus was giving the disciples the same authority that the Father had given Him – the authority to defeat every evil power in order that all creation could be brought into proper relationship with Him. This kind of authority is necessary to carry out the mandate that was given. *All the Peoples: The Greek phrase used here is “panta ta ethne” which can most appropriately be translated “all the peoples.” You can see the relationship between “ethne” and our words “ethnic” or “ethnicity.” The target audience for the disciples is every distinct people group in the world. *All that I Have Commanded: Jesus commands the disciples to baptize and teach converts. This includes more than a mere act or head knowledge. It is a proclamation or confession that Jesus is Lord followed by training in daily obedience to God. It is a complete life change. *All the Days: Jesus said He would be with them, “to the very end of the age” (v. 20). This verse indicates that the mandate is intended for the entire age and for every believer. It is not a command that any single person can accomplish. It is a mandate that can only be fulfilled collectively, with every believer participating. CONCLUSION – BUT WHAT CAN I DO? Hopefully, you have been praying through Joshua Project’s “Unreached People of the Day” using the app or through requesting emails (http://www.unreachedoftheday.org/unreached-signup.php). One of the next things you can do is to learn more about missions and unreached people groups. This is really easy — you have already taken a step by reading these studies! Next, you can read more about the unreached people groups you are praying for at The Joshua Project (www.joshuaproject.net). 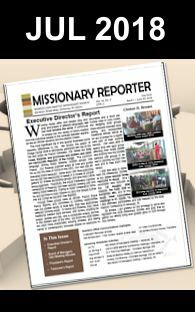 You can also read some great articles about missions at Mission Frontiers (www.missionfrontiers.org), or by asking me to give you some of my favorite resources. The more you know about God’s plan for the nations and the groups who have yet to hear, the more you will be able to find where you fit in. The preceding is the seventh of twelve lessons. We started in Genesis and will be working our way through the Bible. These studies will be available on this website every other week starting July 15th, 2014. You can access them by going to Articles in SDBMissions.org. Or if you would like to receive these by email twice a month, please contact Subscribe by Email and say that you would like to be put on the missions study emails list or use our contact page: Contact Us. To download a powerpoint version follow click this LINK.